The third annual Salt Lake FanXperience is next weekend, and if you haven't already guessed, I'm really looking forward to it. Every time I go to Salt Lake Comic Con or FanX, there are many fun and memorable things to see and do. I'm looking forward to seeing many of these celebrity guests next week. Even before I started writing for Mormon Geeks, one of the ways I remembered the experience of attending Salt Lake Comic Con or Fan X was through sharing about it on social media. Of course, once I became one of Mormon Geeks' contributing writers, setting aside a blog post or two for sharing about my favorite experiences has helped even more to create lasting memories. But for those who don't write for blogs or are not into posting about their experiences attending the conventions on Facebook or Twitter, there are plenty of other ways to remember the experience. Arguably, one of the things I have enjoyed most about attending Salt Lake Comic Con and FanX has been having things to take home with me to remember the experience. There is no shortage of souvenirs at these types of conventions. And you don't necessarily have to break the bank to get souvenirs. In fact, beyond the entry price of the convention, some of these souvenirs don't cost anything at all. From fan art to autographs to pictures of (or with) cos-players to photo ops, there is a way for everyone to preserve the memories of the convention. Photo Ops (short for opportunities) with celebrity guests is what I would generally consider the most expensive of the souvenirs at the con (though I'm sure there are exceptions). As such, the last few times I've attended, getting a photo op with a celebrity of whom I'm a fan has been my “big” souvenir to remember the convention. 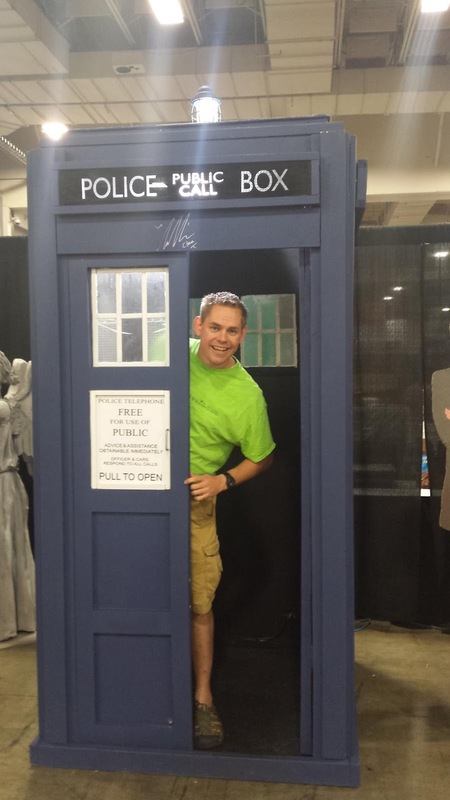 Depending on the celebrity, prices at Salt Lake Comic Con for a photo op can range anywhere from $40 (often for those who play smaller roles or are in lesser known fandoms) to over $200 (for photo ops with multiple celebrity guests from the same franchise). The cost includes a print of the photo, and for a little more, you can also get a vinyl case for the print and a digital copy. Rory at a photo op with Stan Lee at the inaugural Salt Lake Comic Con. Not everyone sees the value of photo ops, and if it's not your thing, or not worth the price, I don't blame you. But for me, having the opportunity to meet someone who portrays a character or characters that I love, and having a photo to remember that moment, is worth spending a bit of extra money on. That's not to say I go complete fanboy and splurge by getting a photo op with everyone with whom I'm even the slightest fan. But each convention, I'll choose one celebrity that I love to get a picture with, and whose photo op is also reasonably priced, and get a picture with him or her. 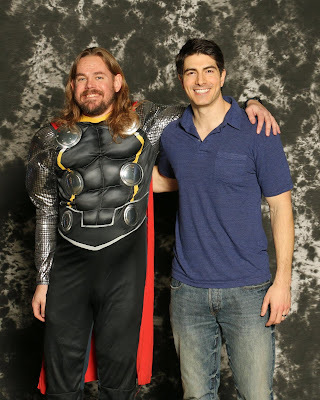 Me at a photo op with Brandon Routh at FanX last year. Another way to save money on a photo op is to go with a friend or friends who are also fans of the same celebrity. 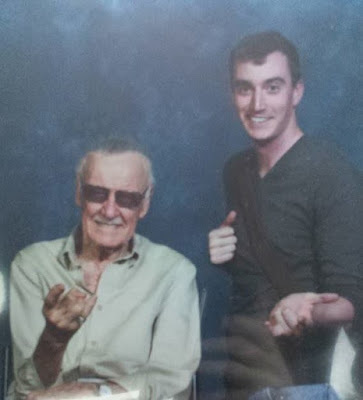 At Salt Lake Comic Con and FanX, up to four people can be in the picture with the celebrity at no extra cost, which could bring a $40 photo op down to an affordable $10 per person, and a $200 photo op down to a much more reasonable cost of $50 per person. 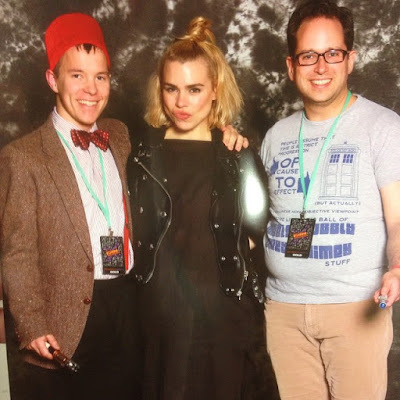 Spencer and David at a photo op with Billie Piper last year. While not as expensive as photo ops, celebrity autographs are still one of the more expensive souvenirs. And unlike photo ops, which can be shared digitally and reprinted, autographs are a bit more difficult to share. 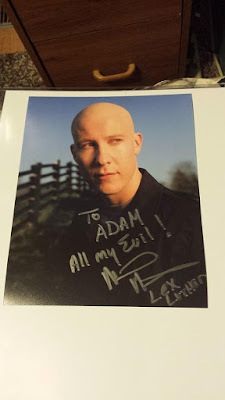 But a couple of the benefits of celebrity autographs is that often the celebrity will personalize the autograph and there is more time to speak with and interact with the celebrity than the 15 or 20 seconds of being rushed through the photo op. My friends and I have had the opportunity to speak with Denise Crosby about her life since Star Trek and what projects she's working on now, and I had the chance to fist bump with Michael Rosenbaum and let him know what a fan I was of his work in Smallville. Most celebrity autographs start around $20 to $30, though if you look around, you may find some that don't charge at all, as I discovered was the case last year with the actors from Studio C. And if you're a fan of an author that is in attendance, you can bring your favorite work of his or hers and have it signed, as many of them do book signings at no cost. By far, fan art is the most common of the souvenirs that I've collected from attending cons. There are so many vendors displaying and selling their art from nearly every genre and fandom in geek culture. I have purchased far more than I could put on display on the walls of my home, but I've decided that's what albums and portfolios are for. My fan art from Salt Lake Comic Con last year. "My name is Adam, and I'm addicted to fan art." 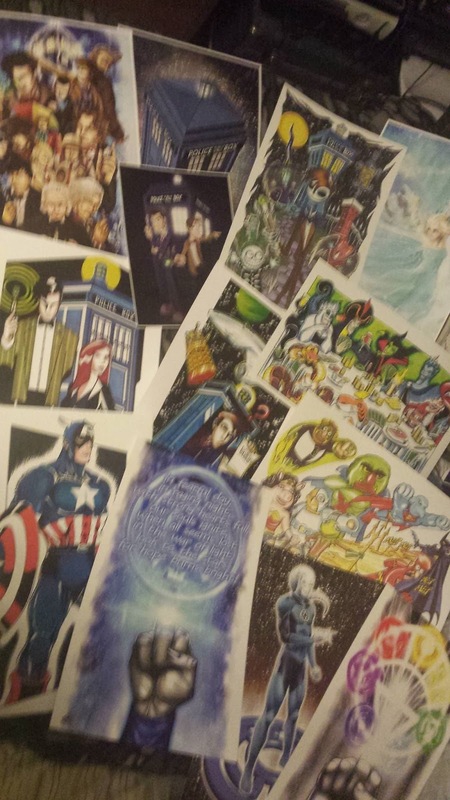 Fan art can cost as low as $5 (and possibly even less than that) depending on the artist and the size of the print. Many will also sign the print on request at no extra charge, and many will also offer deals for buying multiple prints at the same time. One of the best times to buy fan art may be towards the end of the convention, when the vendors are eager to sell as much of what they have left in stock as they can, and will offer even better deals to do so. Though of course, the risk of waiting until the very end of the convention to buy prints is that the one print that you knew you had to have as soon as you saw it (but held off on buying either because you were busy when you first saw it or were hoping to get a better deal later) may have sold out by the time you come back yo buy it. If fan art isn't really your thing, there are vendors selling nearly everything else you could imagine as well. From action figures to bobble heads to comic books to magnets to t-shirts to novels, if you can name it, you will probably be able to find it. "Baby Superman" is just one example of a potential souvenir. 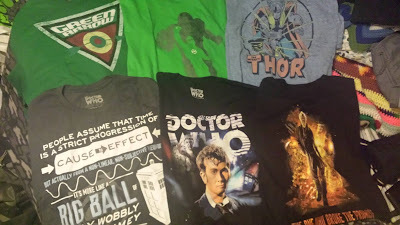 I have added several t-shirts to my collection last year. I find that t-shirts and other apparel makes for a great way for me to express my interests. And nothing says, “I'm a geek, and I'm not afraid to let you know it,” like wearing a t-shirt with a close-up of David Tennant, a weeping angel, and the TARDIS. You can see the t-shirt I just mentioned on the bottom in the middle. Though I don't do this one very often (unless I actually know the cos-player), this is one of the best free ways to collect souvenirs. Whether it's with Scorpion from Mortal Kombat or Elsa from Frozen or Aang from Avatar: the Last Air-Bender, there's nothing like getting a picture taken with one of your favorite characters from one of your favorite fandoms. 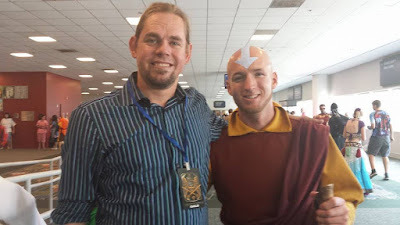 Me with Paul, who was cos-playing as Avatar Aang. All you have to do is bring a phone or a camera, take the initiative to ask others if you can get a picture with them, and before you know it, you'll have a large collection of pictures to keep the memories fresh. 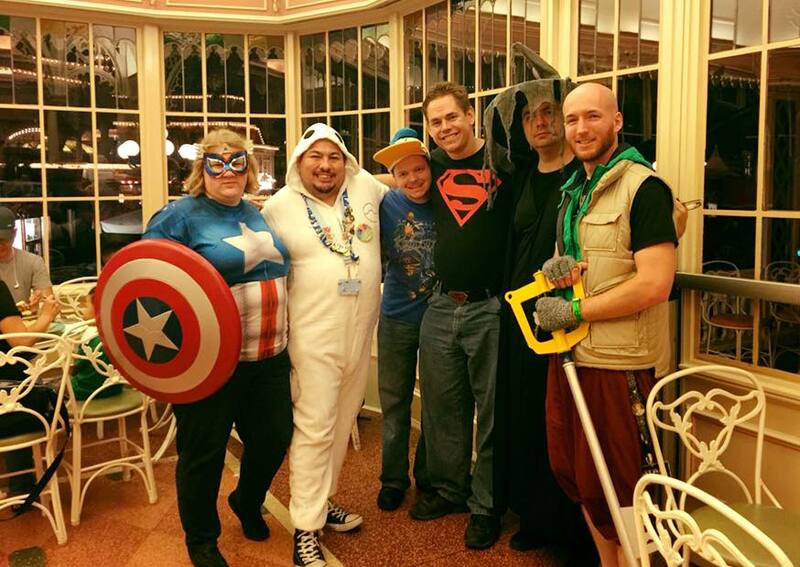 Though this wasn't at Comic Con, it's a great example of a group of friends cos-playing. It's also fun to be on the other end of that if you're cos-playing with a really great costume of a popular character. When I cos-played as Thor last year, I lost track of how many people asked for pictures with me (including several while I was walking through City Creek Mall to go home). And one more option for souvenirs is getting pictures with iconic props. Whether it's standing in the doorway of the TARDIS, looking in awe at the Back to the Future Delorean, sitting on the Iron Throne or posing with Gollum, there are no shortage of props to get pictures in. Me looking out the doorway of the TARDIS prop. While some of the props do do have a fee to get a picture with it, many of them are also free. Though be prepared to wait in line for some of the more popular ones. 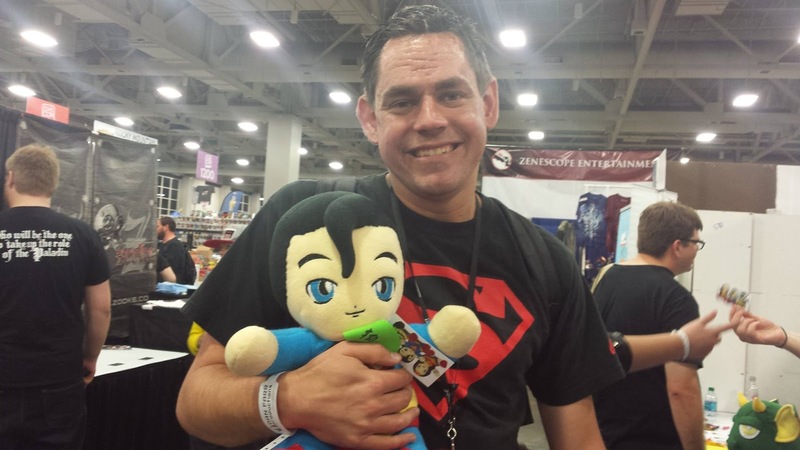 So if you're planning on attending FanX next week, or any comic book convention in the future, now you know of may of the options for souvenirs, and if you watch for it, you'll be sure to find the souvenir that's right for you. If you have any additional suggestions for souvenirs that you think I may have missed, or if you'd like to share about a great souvenir that you've found, feel free to comment and share about it. 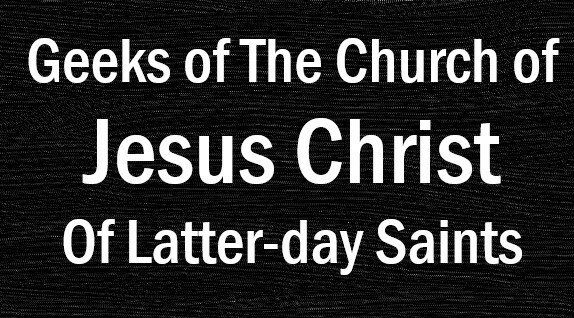 And if you do see me or any of my fellow Mormon Geeks writers at FanX next weekend, if we haven't met before, please introduce yourself. And if we have met, please say hi (even if it means yelling and waving over a crowd of hundreds of people). I hope to see many of you at FanX next week!